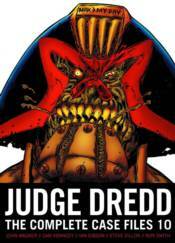 Perps beware, as Dredd takes to the mean streets of the Big Meg once more to tackle the city's most dangerous offenders. The tenth book in this bestselling series brings together some of the very best in Thrill-power, including such stories as 'The Art of Kenny Who?' 'The Fists of Stan Lee,' and 'The Taxidermist.' Featuring the writing of Alan Grant and John Wagner and the work of such classic artists as Steve Dillon, Cam Kennedy, and Ian Gibson, this is the perfect collection for all discerning comic fans.